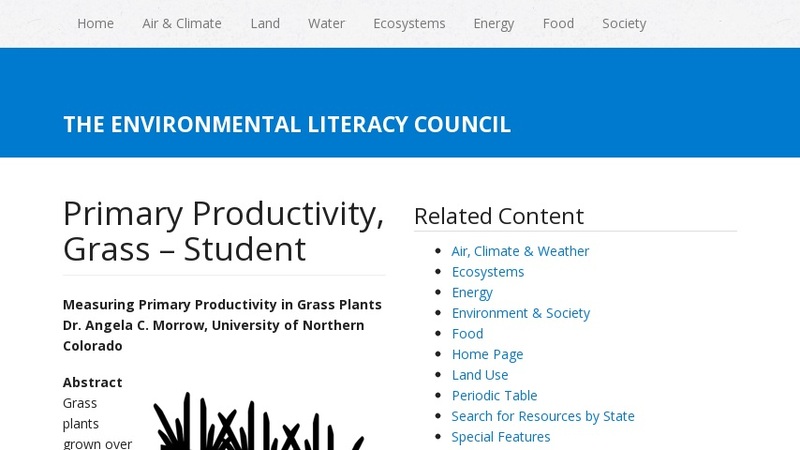 In this activity students will use grass plants grown over a one week period in the classroom to calculate productivity rates using two methods of collection. At the end of this lab students will understand the concept of primary productivity and will have used one or more methods to calculate it. They will have also been introduced to the concepts of standing biomass, net productivity versus gross productivity, and the importance of comparing dry weight versus wet weight. This activity has an accompanying teacher site with hints and more information. There are also links to several other sites with more information on this topic.